Mechanic Penrose - Automotive Workshop for all your Car Servicing Requirments. Our Hometune Mechanics Workshop in Penrose, Auckland is open 7 days a week. 7am - 6pm Monday to Friday, 7am - 5pm Saturday and 8am - 5pm Sunday. Call 09 630 3000 to book. 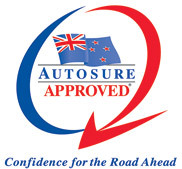 We are an Auckland mobile vehicle servicing company that is closely situated at 26 Botha Road , Penrose. At your convenience, you can wait while our mobile mechanics repair or service your car, or leave it with us and get a train or bus to work. Mobile vehicle servicing is also a breeze as we can collect anywhere you are and deliver your car at your convenience. We will send you a friendly text or email reminder so you can organise your day. We have courtesy cars for jobs that take a little longer. Hometune Mobile Mechanics are MTA assured and have over 35 years in business. Hometune is not your typical mobile vehicle-servicing workshop. We extend a broad range of services to our customers and specialise in diagnosing and solving complex automotive electronic problems. Hometune Mobile Mechanics can fix vehicle problems like brakes, batteries, water pumps, radiators, campbelt replacements, suspensions, gearboxes, transmissions, cv boots and joints, steering, seatbelts, wheel bearings, drive belts, starter motors and alternators. We invests in the latest diagnostic tools to give you a full assessment of what is going on with your vehicle. Our certified mechanics and industry experts can fix all the usual problems through to complex and specialist issues. Hometune Mobile Mechanics are a team of qualified and experienced mechanics and auto electricians that specialise in a range of mobile vehicle servicing and repair services. We are meticulous in our work and that’s why we provide a 5 point guarantee. Our auto electricians and mobile mechanics in our Penrose workshop are experienced with all makes and models, petrol, diesel, including all European vehicles. Before we start working on your car, we do a thorough checkup and provide complete details of any work that needs to be done, including making recommendations. We also provide you with a follow-up report of what has been done once the job is complete. We keep your budget in mind, so we give you options based on our comprehensive range of genuine and aftermarket parts. Live locally in Penrose? Select from the links below to go right ahead and book a service at our workshop.